It is sometimes frustrating when you lost your device with information you consider confidential. In the world of today, you can still take control over your device by locking .There some services(Free and premium) that can help in keeping your information save. This service allows you to ring,lock and erase your missing device. To use this service , you should have a gmail account active of the device. 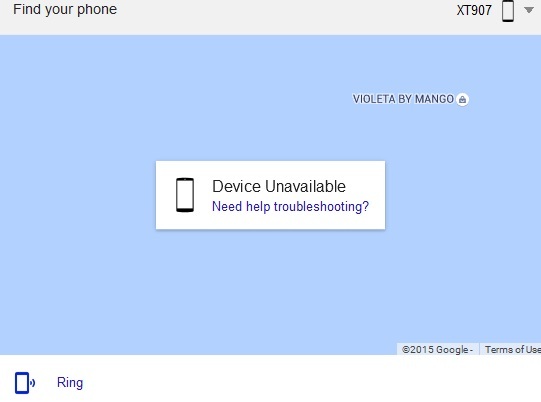 This service also helps to show your device location if it is on and connected to the internet. You can lock the screen and add a phone number on the lock screen. You can also use android device manager by downloading the app on another mobile phone. This service also enable you to control your phone remotely.Here is a guide to use this service. ===> type in ''Ring my phone'' without the quotes in the search box. ==>You might be prompted to sign in. ==> select the missing device and ring it. Do you have anyway a lost android device can be tracked? You may not control all the events that happen to you, but you can decide not to be reduced by them. See the link below for more info.